Gustavus L. Foster (Gustavus Lemuel), 1818-1876 Uncle Johnson, the Pilgrim of Six Score Years. 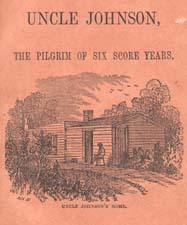 Uncle Johnson, the Pilgrim of Six Score Years. Philadelphia: Presbyterian Publication Committee, 186-?.